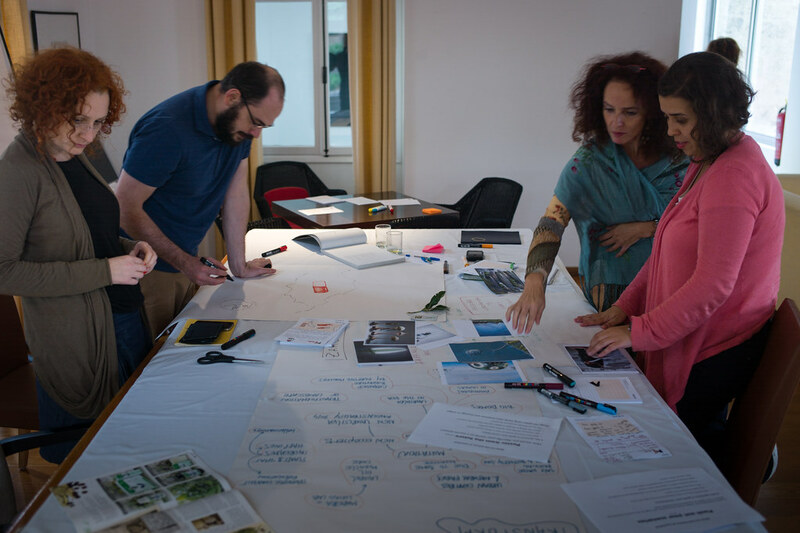 This page describes the flow of the scenario workshop about the futures of Laurisilva (laurel forest), conducted in Ponta do Sol in November 2014. More information about the content of the workshop can be found on the Laurisilva Futures page. If you were a forest, what kind of forest would you be? Describe yourself as if you were describing a forest. how did you think & feel during and after the experience? do you have any suggestions for the team? Past & present: Group discussion and recollection of memories from the previous day: walk through the forest, known facts about Laurisilva, inputs from locals and experts. What do we know and what do we assume? What are the known problems/challenges/dilemmas? What are the good practices already existing/underway? Icebreaker using the The thing from the future. 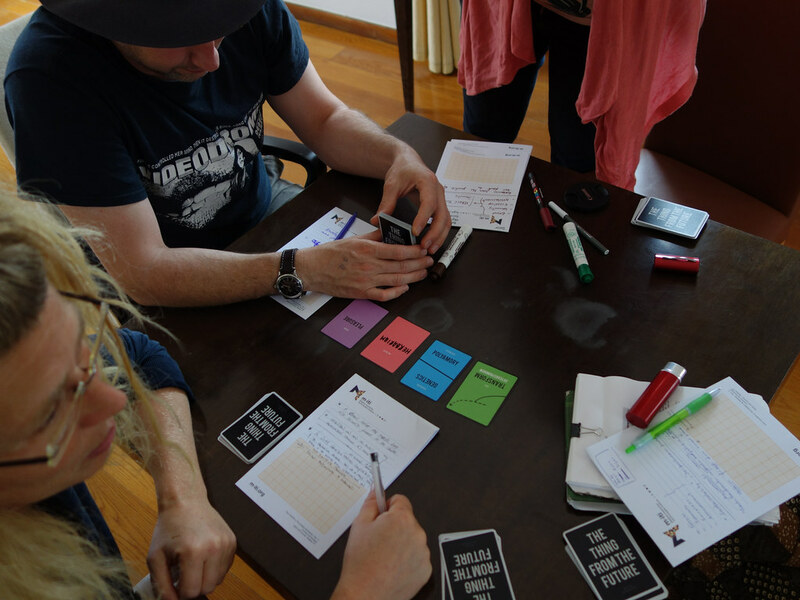 These cards are based on four generic futures which we use in this workshop, and the game can help the participants to acquaint themselves with the concepts. The deck is slightly altered by adding one object card (Herbarium), that is the part of Laura Silva's story. 1-2 rounds with usual cards; 3rd round facilitator adds the context specific object card: herbarium. What influences the changes in the Laurisilva forest today and in the near future? 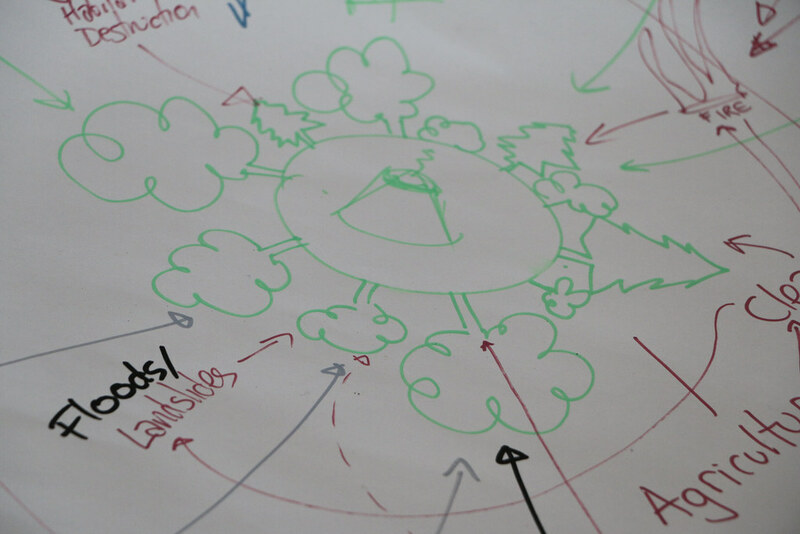 Draw a diagram with the forest in the middle and different types of influences around it. Which influences are stronger, which weaker (closer or further apart)? Is this influence strongly present or only emerging? Who influences the influencers - what is the relationship between the different drivers? What would four generic futures of Laurisilva look like (Grow, Collapse, Discipline, Transform)? What would the generic futures of Laurisilva look like? What happens to the drivers and their relationships in the different futures? Which worldviews would be prominent? Who would propagate these worldviews? Who would be the main stakeholders? What happens to Laurisilva in this scenario? Who are the main protagonists in this scenario? Are there any events, artefacts or initiatives that come to the fore? What is the history of this future - what happened from today until your future? What would you call your scenario? What kind of tourists would you want to attract to your world? How would you describe your world to these tourists? 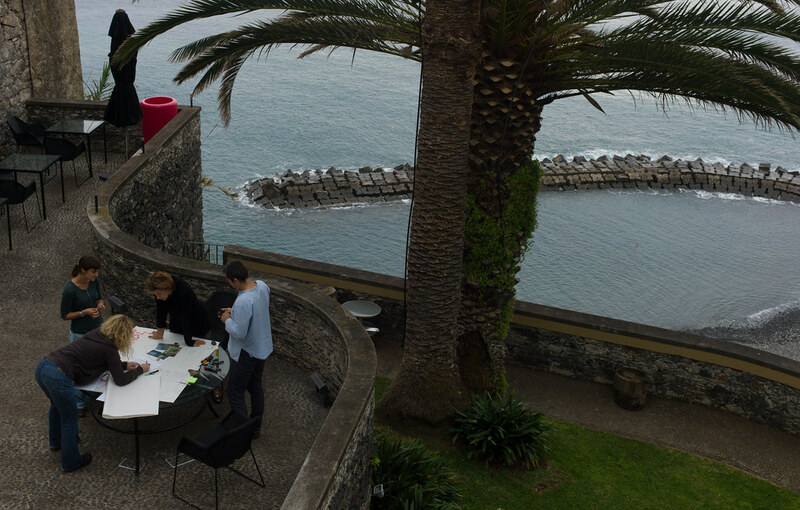 What is the setting or the place in Madeira that best illustrates this scenario? How do you describe Laurisilva on the poster? Make a poster to describe your world in a few words/sentences, drawings and images. What happens to the herbarium in the different futures? Where is it? What does it look like? Who keeps the herbarium? Who has access to it? What are they doing with it? What are the consequences for Laurisilva, for Madeira, for her descendents? Describe how Laura Silva's story would end in the different scenarios. Whole group discussion, with different breakout groups reporting/presenting their scenarios, posters and the story of Laura's herbarium in their future. Short reflection for each group (questions, discussion). We began the day by describing yourself and your mood as a forest. Do this again and see if and how your forest has changed. All participants take a glass and a chocolate (hazelnut schnapps from Austria and Belgian chocolates). Slowly narrow the circle with a glass in your hand and all toast at the same time, to Laurisilva and Laura Silva!